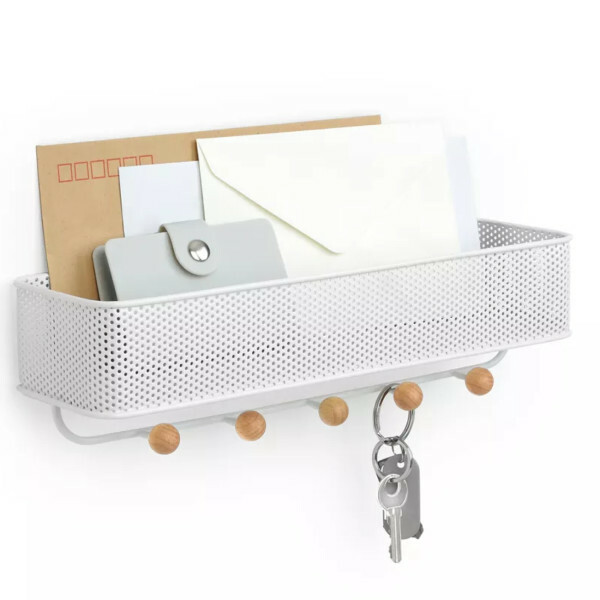 Made with a perforated metal bin and row of hooks. Includes hidden mounting hardware (included) for a seamless look. Measures 12.5 x 3.5 x 3.25".